The San Francisco Zoo’s new tiger cub has been making headlines this month– and not just for being adorable. The honor of naming the baby cub will go to the highest bidder in a fundraiser for the SF Zoo. 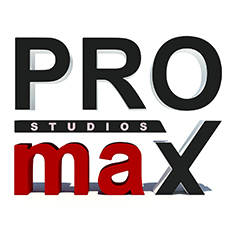 So, in honor of the new tiger family, we’re naming PROmax3D‘s amazing tiger model as our featured model of the month! Check out our interview with the artist, and find out what inspired him to create his very own virtual zoo. When did you start 3D modeling? I started 3D modeling in 1998. We have a family-owned computer training academy, and we were looking for a professional company to create an effective advertising campaign. As there were no reputable advertising companies in our city, I decided to give it a shot. I had knowledge of Adobe After Effects, and I began to learn 3DS MAX. I loved rendering 3D models in 3DS MAX. I was lucky that we had a server computer and the fast workstations in our office to render complex models quickly. Why did you decide to start publishing models at TurboSquid? Tell us about your interest and experience with TurboSquid. By 2008, I was very proficient in creating 3D models. Soon, I was looking for a good place to showcase and sell my 3D models. Upon doing some research, I found that TurboSquid was the biggest online resource for 3D models. The international acclaim and ease of use is what I like about Turbosquid. The ability to have millions of buyers look at my models got me really hooked. I discovered that TurboSquid was a pretty organized 3D model website. The various Squid Guild levels motivated me to create better quality and complex models and achieve higher sales. With every sale, there is excitement and a sense of recognition that someone likes and values your model. As I got more involved, I decided to get certified. I strive to create highest quality models. What has been your experience with CheckMate? I think CheckMate is good idea. It was step towards making 3D market better. Anything that leads to a better quality of models is good for the customers. The first time, it was difficult for me to pass the CheckMate certification. In time, it became much more easy. CheckMate makes the model more accurate from the point of view of the buyers, which is important enough. So, do you plan to submit more CheckMate models? I am planning to submit more models, especially for CheckMate Pro certification, and I advise all my friends to submit, too. What other creative things do you like to do? I like to draw, even if I am not a Leonardo or Picasso. I like to play with colors and design new concepts for computer related items. I also like to listen good music, though “good” music may seem like a different thing for different people. I see that you have a lot of models of tigers and other big cats. I loved tigers and wild cats from early childhood. As a kid, I dreamed of having my own zoo. Now I think my dream is going to come true, but only difference is my zoo will be virtual, haha. Jokes aside, I love modelling animals, as it is highly challenging in terms of complexity and getting the right look, compared to modelling a inanimate objects. Rendering the [animal] fur adds another level of complexity, and that’s what excites me about it. The model may look clean, but if the animal doesn’t come alive, then it is worthless. I love my work. That is main my inspiration. Do you have a favorite model at TurboSquid? 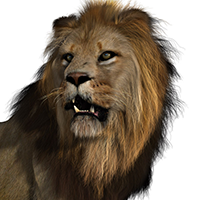 Yes, I do – the previously featured lion model by Massimo Righi. That model is a great inspiration to me, and motivates me to create something similar in quality and expression. Want to see your CheckMate Pro Certified Model featured on the TurboSquid Home Page? Anything is possible if you just SUBMIT YOUR MODEL!